Some days, there is nothing better than sinking your teeth into a big juicy burger, especially in California’s north. Siskiyou is home to some of the freshest beef around the region as local farmers fuel many of our restaurants. 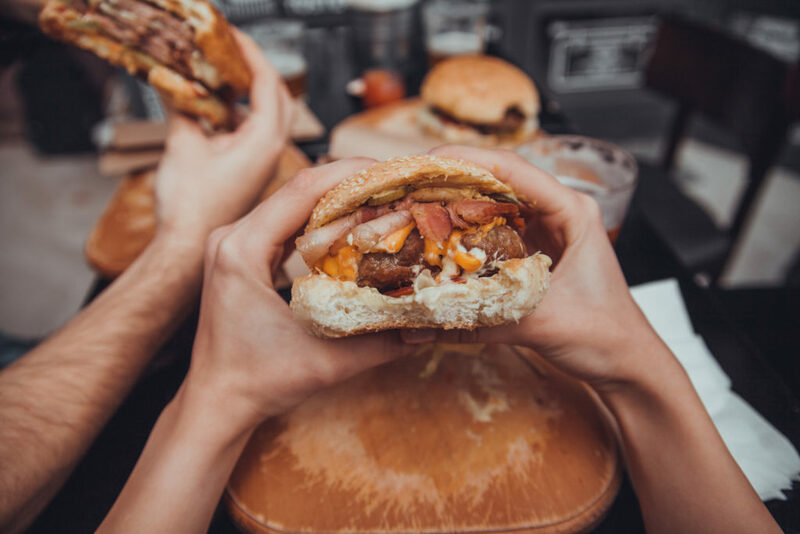 Here is a list of where you can taste some of the best burgers in Siskiyou – just time in for National Hamburger Day on May 28! Local favorite Hi-Lo Cafe is known for serving their fresh ground beef either charbroiled or grilled. You can’t go wrong with their Mountain of a Burger! The HUGE 10 oz beef patty is served with grilled onions, tomatoes, lettuce and pickles. We also recommend ordering a side of their garlic fries. Bring your appetite! Enjoy the kickoff to summer with a gourmet burger at Bistro 107 in Mount Shasta. Here, you can sit outside on their deck and enjoy a mountain view while devouring their fresh eats. Their half pound Imperial Wagyu Natural Beef burgers are served on a brioche bun. You can’t go wrong with Billy’s Best Burger – crispy bacon, deep fried onion rings, smoked cheddar cheese and barbecue sauce. Yum! Talk about fresh! Five Marys Burgerhouse in Fort Jones serves locally raised beef directly from their nearby family farm. Their exceptional meat is popular all over the country, but nothing tastes better than in person at their restaurant. A local favorite is the Mountain Man Burger – wild mushrooms, caramelized onion, aioli, gruyere and arugula on a brioche bun. Just plain delicious! 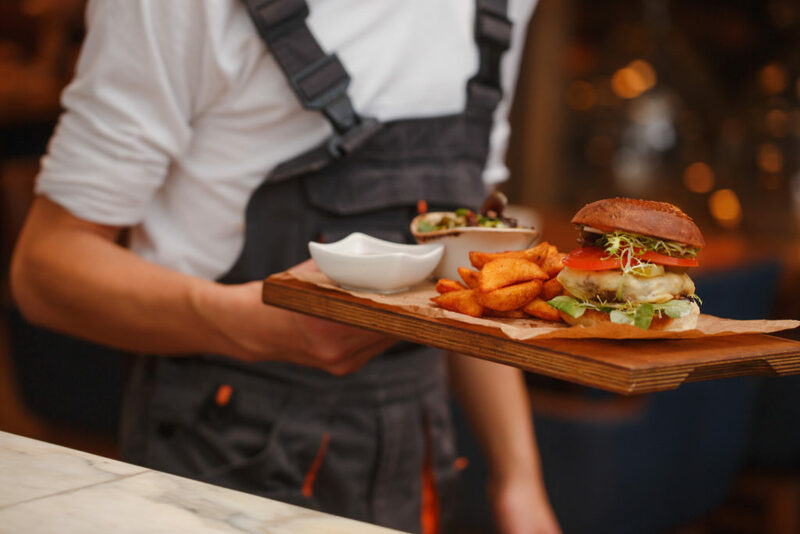 This family friendly restaurant in Dorris grills up delicious burgers and deli food – but this place isn’t just a go-to for their tasty eats. You’re sure to learn a little bit of history during your visit too. We also hear their bread is out of this world! Two words – sticky buns! YAKs on the 5 in Dunsmuir is known for their gourmet burgers and world famous sticky buns with a caramel, Baileys and bourbon sauce. But get this – you can eat them together here. Their sticky buns and grass fed organic burger comes with two slices of bourbon glazed bacon, homemade aioli, red leaf lettuce, red onion and tomato. Heavenly bliss! Enjoy piping hot burgers and fries at the McCloud Meat Market and Tavern in the McCloud Mercantile. This hidden gem is known for serving juicy burgers loaded with flavor. The restaurant also offers a unique dining experience for visitors to enjoy the atmosphere of small-town hospitality. Grab a burger, fries and a beer at Cooper’s Bar & Grill inside the Best Western Plus Tree House. This cozy bar is known for serving delicious bites in a relaxing atmosphere. Customize your burger just the way you like it. We hear their onion rings are a must order too! This local favorite is known for their fresh burgers and milkshakes. All their beef comes from the owners’ nearby family cattle ranch. You can’t go wrong with a Jenner Family Beef burger and sweet potato fries! Make your way to Etna Brewery & Taphouse in Yreka for a juicy burger and delicious beer. Their locally raised, grass-fed beef is barbecued on their grill to perfection. 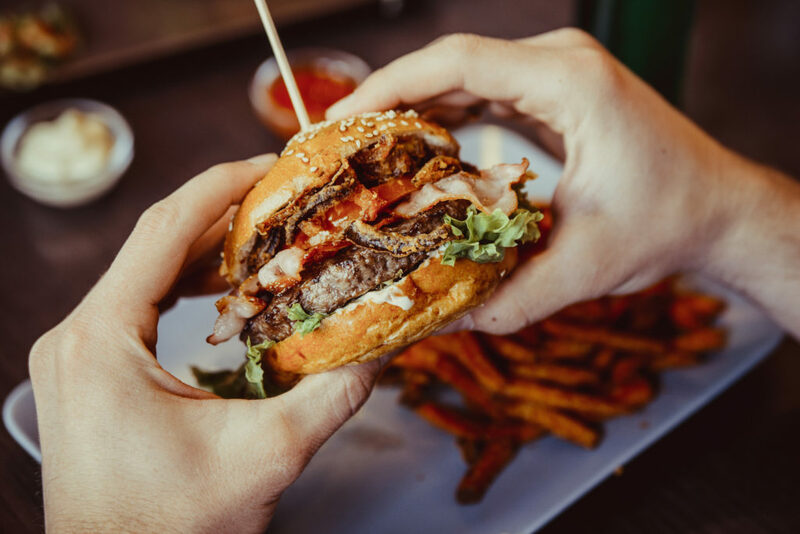 We recommend their Jalapeno Burger – a half pound beef steak burger with crispy bacon, jalapeno peppers, pepper jack cheese and topped with spicy Sriracha aioli. Just plain delicious! Are you hungry yet? 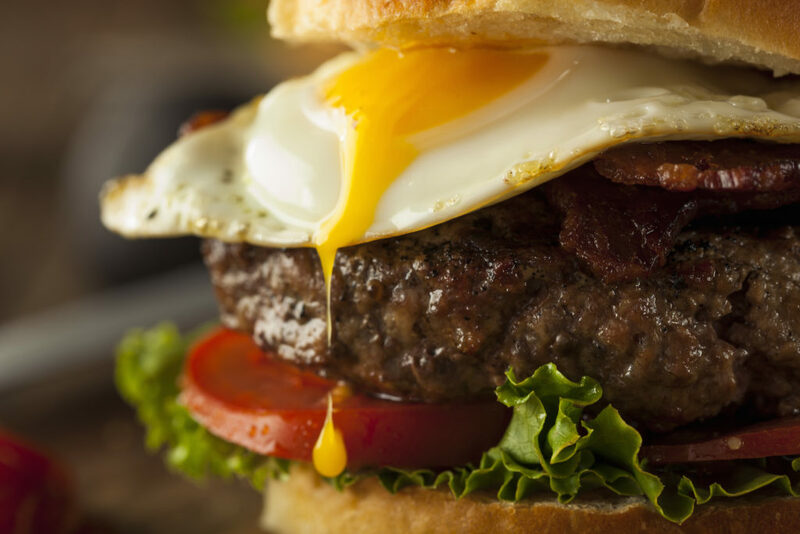 From classic to one-of-a-kind burgers – get ready to bring your appetite to Siskiyou! We look forward to welcoming you to California’s north for some of the best burgers around.